O2 has renewed the naming rights for The O2, the world's most successful entertainment arena, in a ten-year partnership with the London venue. It is thought that O2 is paying in the region of £12m a year to AEG, making the partnership worth an estimated £120m. The new deal covers the naming rights for the venue, which hosted The Brit Awards on Wednesday evening. O2 customers will also get better benefits including a doubling of the number of tickets that customers can book 48 hours in advance and more special access to customer lounges and "experiences" inside the venue in Greenwich, East London. Paul Samuels, executive vice-president of AEG Europe, said the venue owner only talked to O2 about renewing the partnership and "would not have dreamt of going to market" to seek other bidders. Britain’s second biggest phone company reportedly paid £6m a year in 2007, when the partnership began with the former Millennium Dome, then an unproven entertainment venue. Samuels, who was head of sponsorship at O2 between 2001 and 2006 and helped to negotiate the partnership before later joining AEG, said the two companies had proved the doubters wrong. "When we decided to sign the deal 12 years ago and we were going to build this thing in the Millennium Dome, which was this white elephant in London, people thought both O2 was mad for sponsoring it and partnering with it and that AEG was mad to invest in this part of London," he said. "I think we have proved everyone wrong and we’ve created the world’s best music venue. It smashed all the numbers." He claimed music artists now arrange their touring schedule around the availability of The O2, a 21,000-capacity venue, which is the most popular in the world by volume of ticket sales. O2 already has high-end Wi-Fi in place in the arena for visitors and plans to use data to create a better customer experience – for example, tracking crowd movements and noise levels during concerts to show what songs were the most popular, and "create even more unforgettable moments". Nina Bibby, chief marketing officer of O2, said the partnership was a key part of its Priority loyalty programme as it gave "customers more of what they love and want". She said: "We play a very meaningful role in people's lives, whether it is seeing your favourite band at The O2 or getting a free coffee on your way to work in the morning." 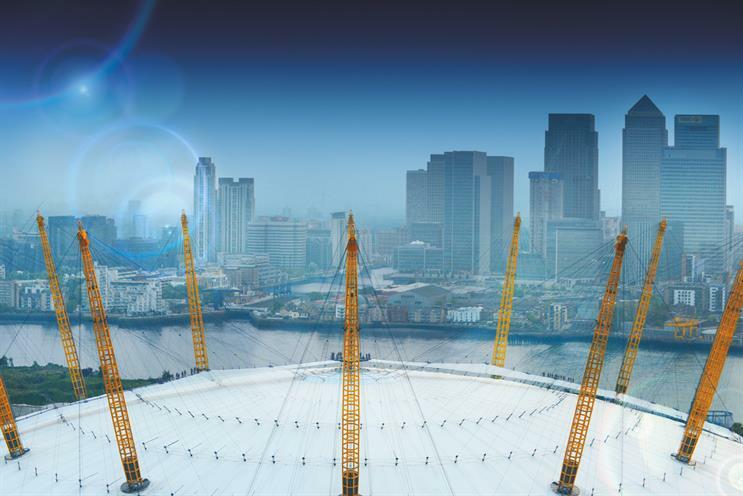 The O2 marks its 10th birthday in June 2017. O2 and AEG declined to disclose commercial terms of their partnership.